Many titles published, including manuals and magazines. The book is large-format (280mm x 210mm), approx. 77pp, full-colour, printed on quality art paper. 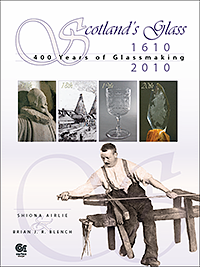 A 20-page booklet containing data and information on virtually every glassmaker working in Scotland today. Also includes buildings, places and sites of interest, museums, which are glass related. 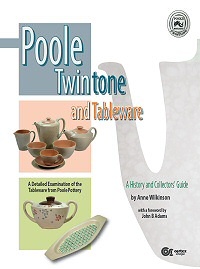 A new book encompassing the entire range of tableware from Poole Pottery. Naturally, Twintone features heavily! This book is an illustrated guide to the history of tableware from Poole Pottery, and includes a history of the company and information on the designers. The designers: John Adams, Harold Stabler, Truda Carter, A.B. Read, Robert Jefferson, David Queensberry, Anita Harris, etc. 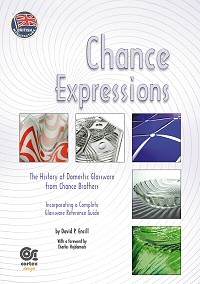 Chance Reflections will	explain	the	history	of the company, the technologies it employed and the products it developed. Because of the vast amount of information that is now being made available by Sandwell Community History & Archives Service, following the return of the Chance archives from Pilkington, this has extended the expected release of the second book. A book written to support the Toc H charity. 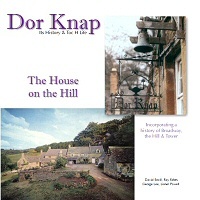 Describes	the life and times of the building, Dor Knap during Toc H's tenure for 20 years; 1959-1979. Includes a potted history of the charity and an extended history of the environs, including Broadway in Worcestershire, Broadway Hill and Broadway Tower, where the founder of the Arts & Crafts movement, William Morris,	lived for many years. A total of over £800 was raised, supporting Toc H youth projects	and Acorns Children's Hospice! 64pp in	mixed	monochrome	and	colour, silk	laminated	softback.